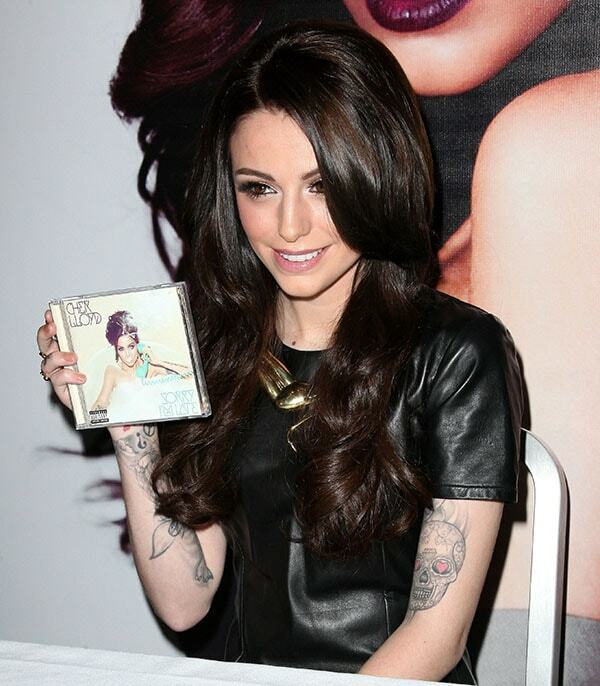 After enjoying her time as a blonde for a few months, Cher Lloyd finally went back to being a brunette. She flaunted her new locks at her ‘Sorry I’m Late’ album signing at the NBC Experience Store in New York City on Tuesday. Besides a new album and a new hair color, her arm tattoos (which some critics weren’t fond of) and flawless legs were also on display, thanks to her little black leather dress with short sleeves and a sheer skirt overlay. The English singer, songwriter, rapper, and model looked gorgeous with smoky eyes and brownish pink lips. Rounding out the singer’s look was a pair of strappy metallic sandals by Fendi, which complemented her bold gold necklace and a few golden rings. Later the same day, Cher slipped into the same Fendi heels when she performed her new single, “Sirens,” live on The Today Show for NBC’s Toyota Concert Series. This time she wore the tri-tone strappy sandals with a very feminine white lace romper that covered up her tattoos. We’ve already seen the 20-year-old brunette in many eccentric shoe designs, and these Fendi heels are, without a doubt, a great addition to her growing collection. 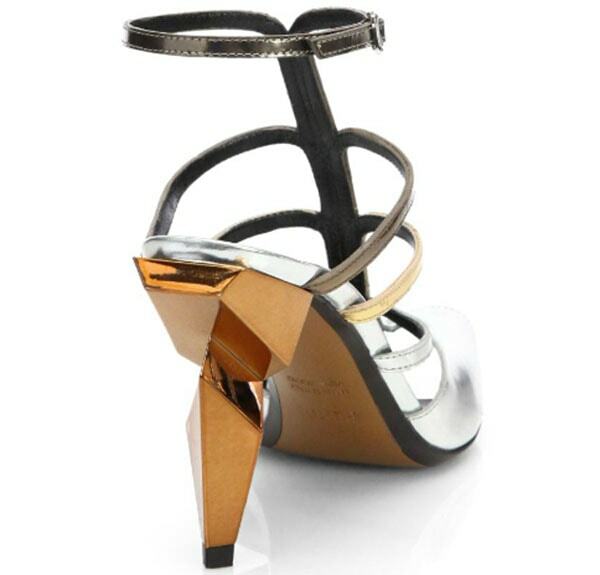 Aside from the beautiful strappy design in three metallic shades, these sandals also feature architecturally sculpted lacquered heels that measure about 3.75 inches high. These are guaranteed to turn heads! 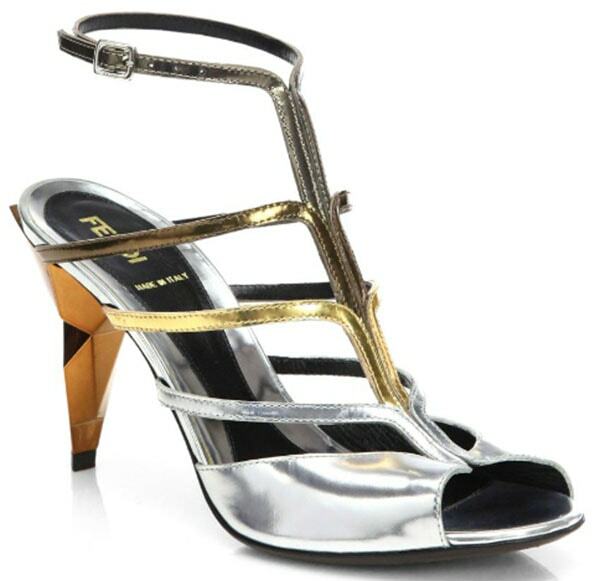 If you like these Fendi sandals, you’re in luck because they’re now on sale at Saks Fifth Avenue.